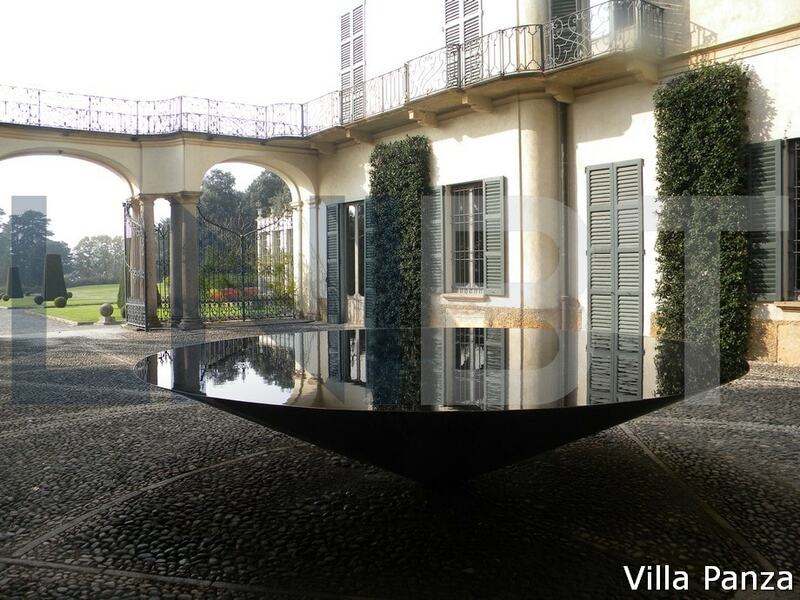 Villa Menafoglio Litta Panza is a 17th-Century villa which hosts the American contemporary art. 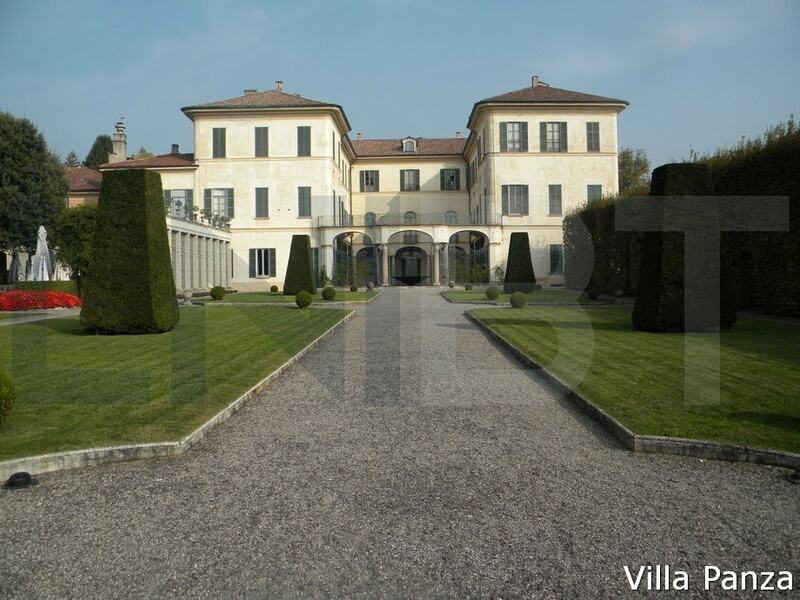 It's a three-storey building with its typical Baroque "U" shap, it opens out towards a large garden ( 33,000 square meters) and it overlooks the city of Varese from the top of a hill, was built in the late 18th century by Marquis Paolo Antonio Menafoglio. 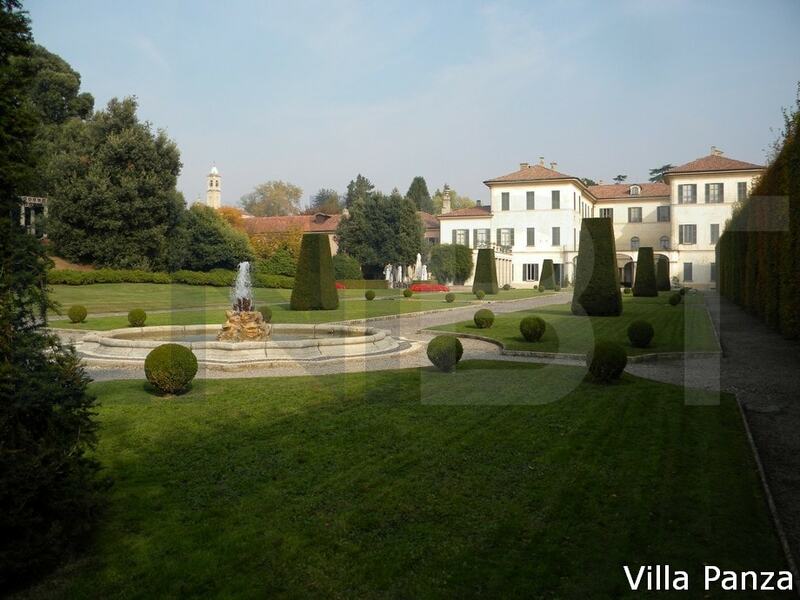 Following the death of the Marquis, the villa was acquired by Duke Pompeo Litta Visconti Arese. In 1935 the complex was acquired by Ernesto Panza di Biumo . Upon Ernesto's death, ownership passed into the hands of his four children, amongst whom Giuseppe was particularly enamoured of it and decided to use it to house his collection of contemporary art . 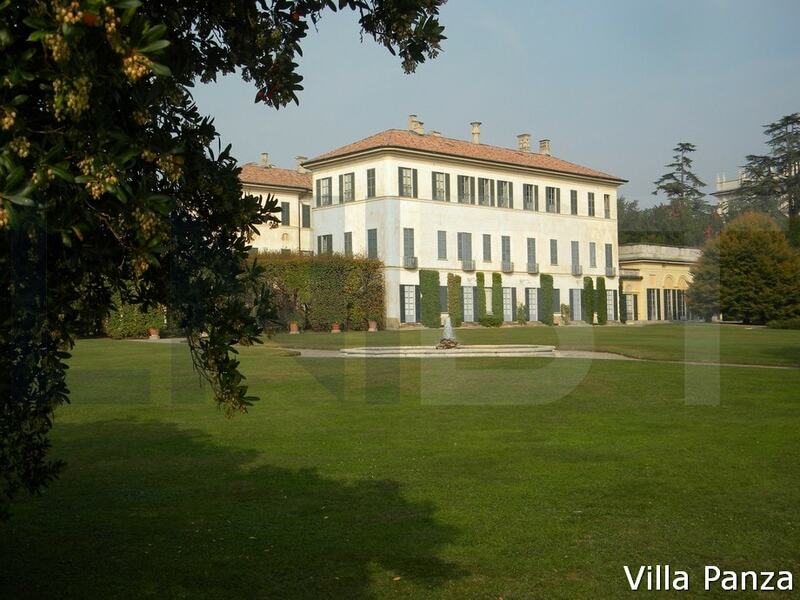 With a view to preserving intact for posterity both the villa and the enormous collection contained within it, in 1996 Giuseppe Panza donated both Villa Panza and the Panza Collection to FAI – Fondo Ambiente Italiano, which opened the villa up to the public in 2000. The FAI - Fondo Ambiente Italiano is a private non-profit organisation . Its goal is to restore and to take care of special places in Italy so that present and future generations from all over the world may enjoy a priceless legacy. Apart from the works displayed in the Villa, the works of the Panza Collection are exhibited in the most important international museums: from the Guggenheim Museum of New York to the Museum of Contemporary Art of Los Angeles (MOCA), to the Hirshhorn Museum of Washington D.C., to the Albright-Knox Art Gallery of Buffalo and to the Museo Cantonale d'Arte of Lugano. 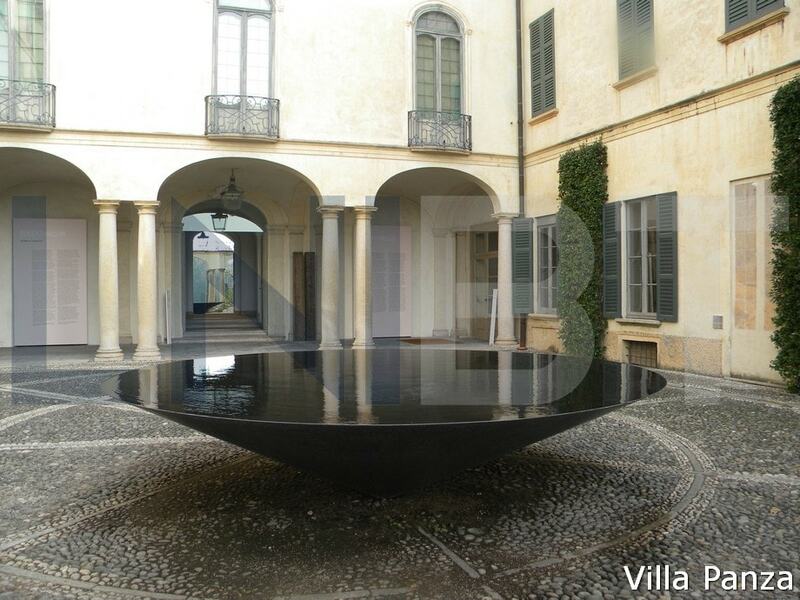 The large vase full of water inside the courtyard of the villa. 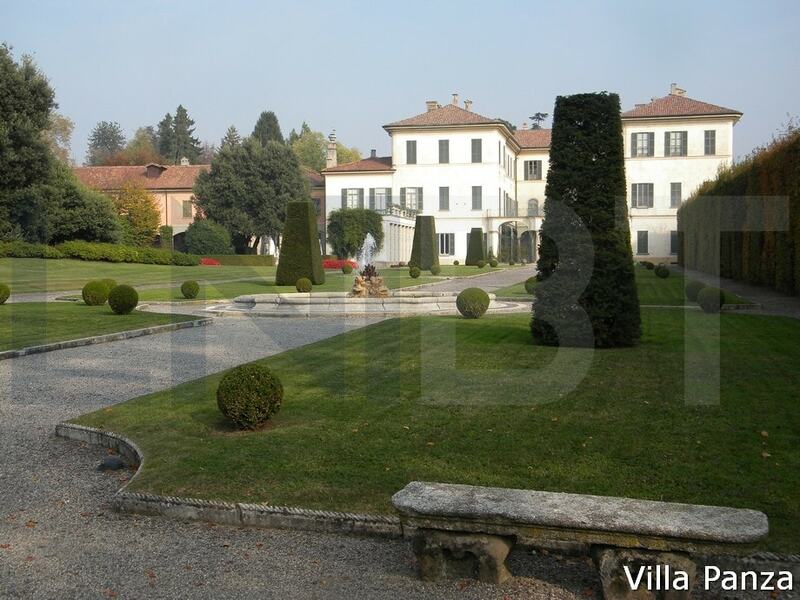 To help you make the most of your stay in Varese we have put together a guide, packed full of information about all the tourist attractions to see during your holiday.